Soups are the ultimate go-to for quick, easy meals. You can food prep the ingredients ahead of time or make the entire recipe in advanced, and they still taste amazing. 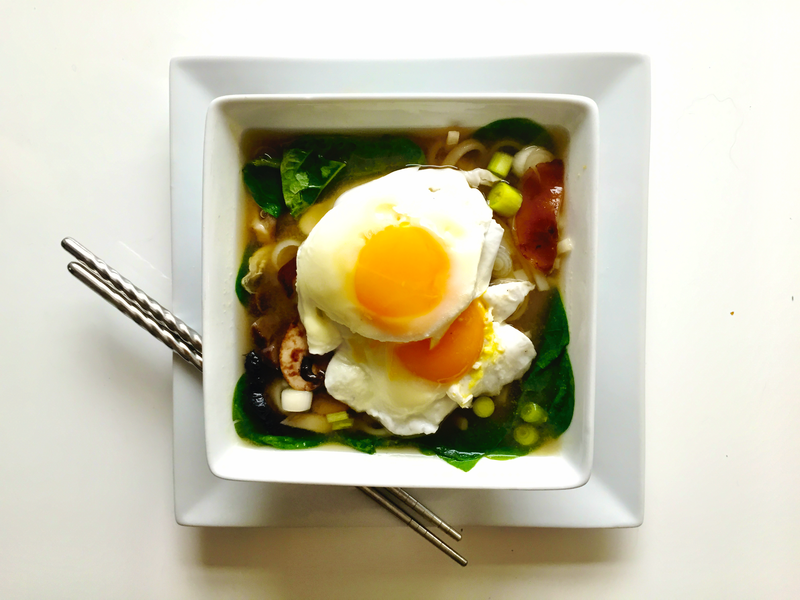 Just when it didn’t seem possible to get any easier, miso soup proved we can abandon our cup o’ noodles and eat something a million times more delicious and way healthier in 10 minutes or less. Hallelujah, dinner just became effortless! As an incredibly busy cardiac ICU nurse and full time yoga practitioner, “fast, easy, and healthy” are necessary check list items when I cook. Being able to throw together an incredibly nutritious soup in 10 minutes frees us from ever having to get fast food or order take out food from some restaurant that may or may not give a damn about how sanitary their food prep is. This recipe is also very versatile. You can mix and match veggies however you’d like, but you can’t go wrong with shiitake + portobello mushrooms (mmmm…so good! ), and fresh baby spinach or kale. Zucchini and squash also taste wonderful in this miso broth. Prep your veggies so you can quickly toss in soup. This recipe is ready in mere moments, so it helps to have everything ready to go. Dice all veggies while shiitake mushrooms soak in a bowl of water. In a pot, bring water to a boil. Add rice noodles to water. Option: can use pre-cooked noodles; merely add right before pouring broth into soup bowl so they get hot. Stir in miso paste once you’ve achieved a rolling boil. Toss in mushrooms, pour in soy sauce, half of the green onions and grated ginger root. Crack eggs into soup. Optional: poach eggs in separate pan and add to soup at the end. 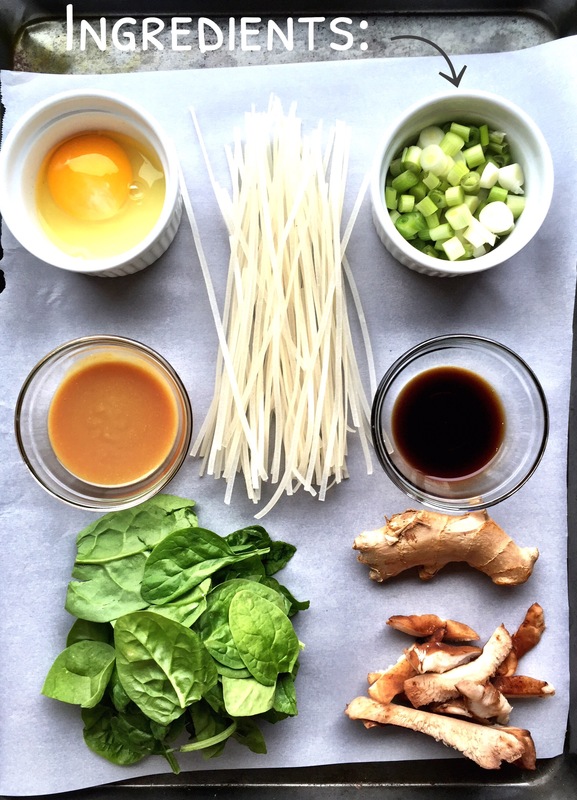 Add fresh baby spinach to a bowl, pour the broth + noodles over the greens.